This burger is moist and delicious. And a refreshing change from the normal ground beef burgers. 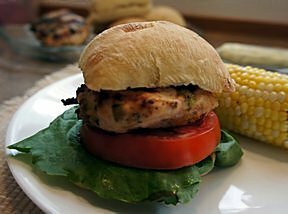 Serve it with your favorite toppings like lettuce, tomatoes and pickles on a warm ciabatta bun. A weeknight dinner that is sure to please. 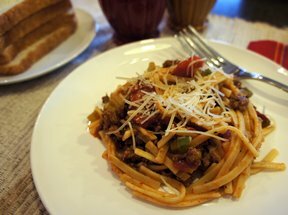 Beef, tomatoes and pasta that the whole family will enjoy and come back for more. 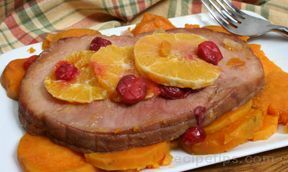 Serve it with a side salad to finish off the meal. 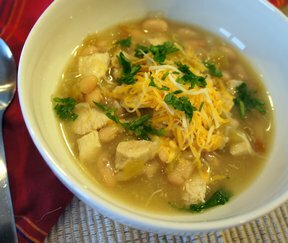 Trendy chicken chili is becoming more and more popular. You'll find this to be even easier to make than the tomato based beef chili. Kids and adults will love it. 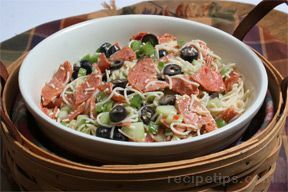 A delicious pasta salad that is a great side dish for any meal. Or, serve it with garlic bread and make it a simple main course. 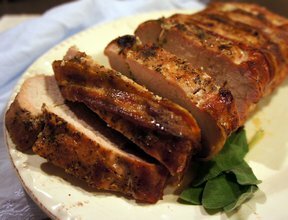 A weeknight meal the whole family will enjoy. 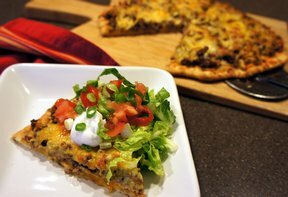 And a great way to use leftover taco meat. Store some prepared pizza crusts in the freezer for a go-to meal when your pinched for time.